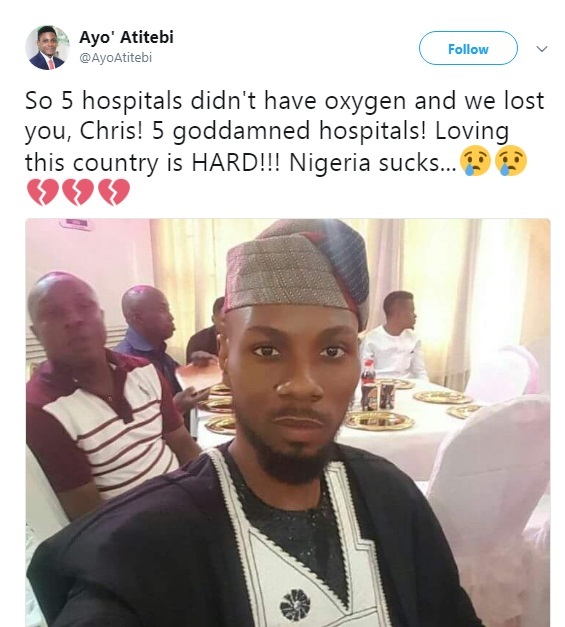 A young man, identified as Chris has died as a result of unavailability of oxygen in 5 different hospitals in Nigeria. His friend, Ayo Atitebi who shared the sad news on Twitter, wrote: “Journey on, good Chris… Heaven rest your soul! This hurts… it hurts”.